AMA specialises in the design and manufacture of aviation fuel handling systems. 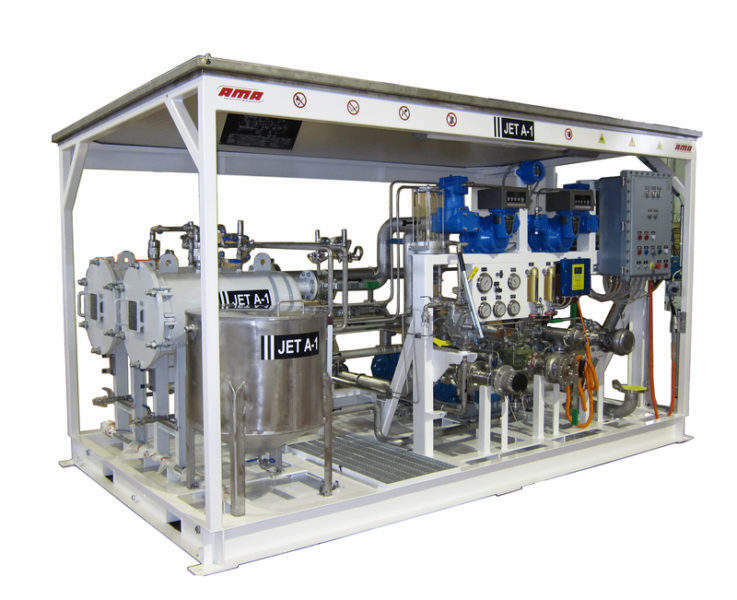 AMA’s products range from bulk fuel installations for rapid deployment, including temporary and permanent solutions for JET A-1 and AVGAS. The systems include collapsible, containerised, underground, above ground and skid-mounted solutions for fuel storage, transfer and aircraft refuelling. AMA’s depot facilities and fuelling equipment comply with the latest Joint Inspectio Group (JIG) 4 standards and recommended Energy Institure (EI) practices. The company’s systems are integrated with high-quality commercial products meeting specific international standards. AMA is experienced in the design, manufacture and supply of equipment, in addition to logistic support. 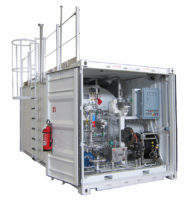 The company also provides personnel to commission, train and maintain its equipment worldwide. 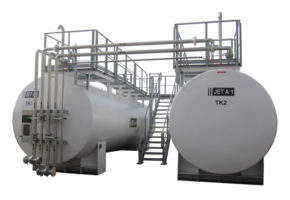 AMA’s above-ground storage tanks (ASTs) are available in various capacities up to 100,000l. 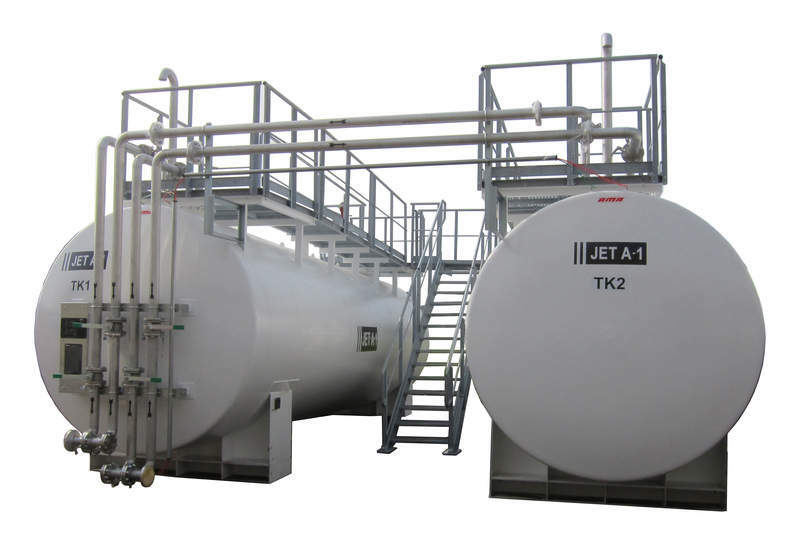 Depending on the required fuel depot capacity, the storage tanks can be adapted for in-parallel, standalone and / or skid-mounted configuration. AMA’s LUS loading-unloading system is a consolidated unit designed to transfer aviation fuel into holding and / or transport tanks. The LUS’s general design includes separate lines for fuel unloading and loading, each fitted with a self-priming pump, filter water separator and accessories. The unit is configurable for aircraft refuelling. The EExd control system can include hardwired relay logic in order to guarantee the correct valve opening sequence for each operation. Optional features that can be added to the unit include test rig and in-line closed sampling circuits, relaxation chambers and refueller / bridger bonding verification units. 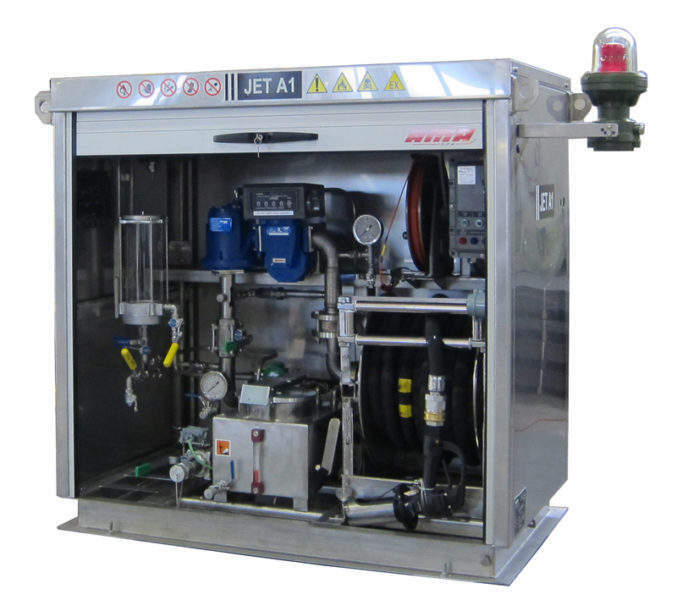 AMA’s aircraft refuelling cabinets (ARCs) are specifically designed in accordance with the client’s requirements to safely dispense dry and clean aviation fuel into an aircraft. The system flow rate varies from 120l/min to 800l/min. The ARCs are available in different configurations, including fixed installation, scissor elevator-mounted and offshore set-up. 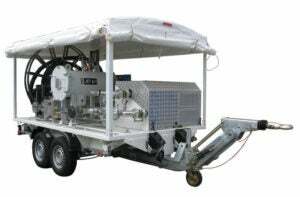 AMA’s mobile aviation fuel transfer (AFT), fuel transfer pump (FTP) and portable refuelling pump (PRP) systems facilitate fuel handling operations where conventional systems are not available, for rapid deployment and/or temporary projects. 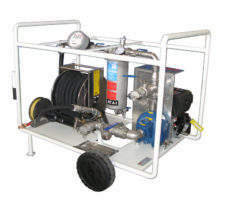 Available as trailer and cart-mounted models, they provide user-friendly, simple-to-operate, cost-effective machinery that ensures the highest standards of safety and reliability. Among AMA Spa's various containerised solutions, the CSDS and MSA systems are two of the most successful products.